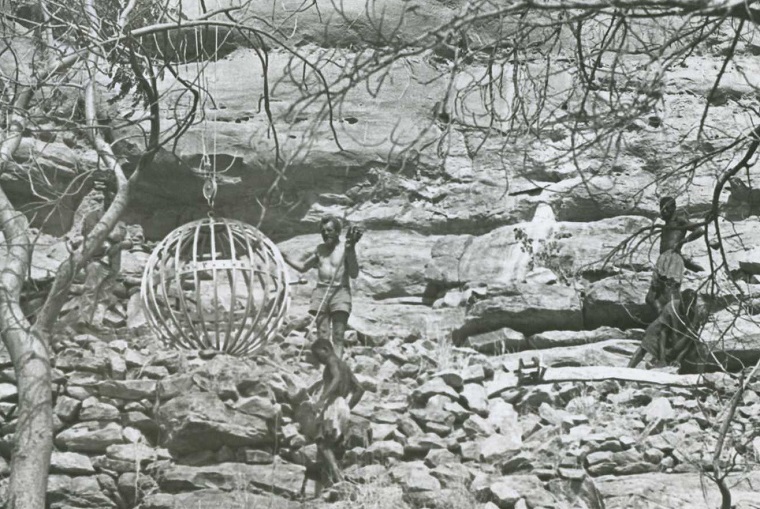 Herman Haan's collection of fieldwork photographs among the Dogon. Photographer unknown. Courtesy of NAi Collection/HAAX/0010. This dissertation examines how designers elaborated concepts of "savage thought" in order to formulate technical rubrics of creativity that tended increasingly towards the disciplinary formation of the media arts and sciences. While it is well known that Europe's avant-gardes often stylistically imitated the art-objects of other societies, there is scant scholarship accounting for how the alleged thought processes of an originary intelligence—gleaned from anthropology, psychology, and ethnopsychiatry—were translated into design methods. Wishing to identify relationships that supposedly linked designed things to larger contexts of signification, designers looked towards studies of "primitive" and magical thought to develop new semiotic-aesthetic systems of creative production. The dissertation follows an arc from industrial to computational modes of design, structured around four disciplinary paradigms—namely, industrial design, architecture, environmental design, and media arts—and asks how and why the methods of each drew from "savage thought" to constitute their object of design. Ginger Nolan is a PhD candidate at Columbia University in the Architecture History and Theory program, with a joint-affiliation at the Institute of Comparative Literature and Society. Her dissertation work has been supported by the Social Science Research Council, the Terra Foundation, and the Deutscher Akademischer Austausch Dienst.